Two styles of Ropa Soft Pro are available free of charge: the smooth and understated Regular and the strikingly distinct Extra Bold Italic. 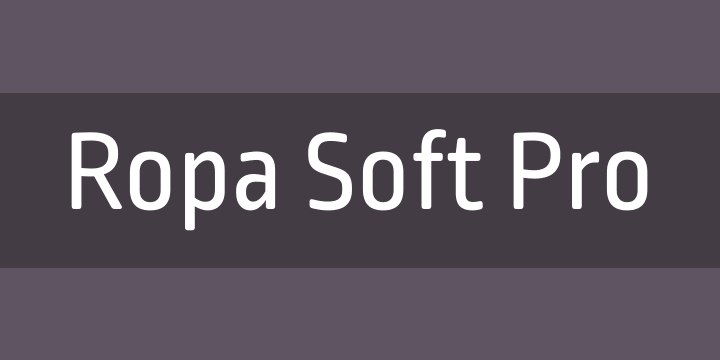 Ropa Soft Pro provides advanced typographical support with features such as case-sensitive forms, fractions, super and subscript characters, and stylistic alternates. It comes with a complete range of old style and lining figures, witch are in tabular and proportional widths. In addition to an extensive coverage of Latin-based languages, Ropa Soft Pro provides essential support for the Cyrillic and Greek writing systems.